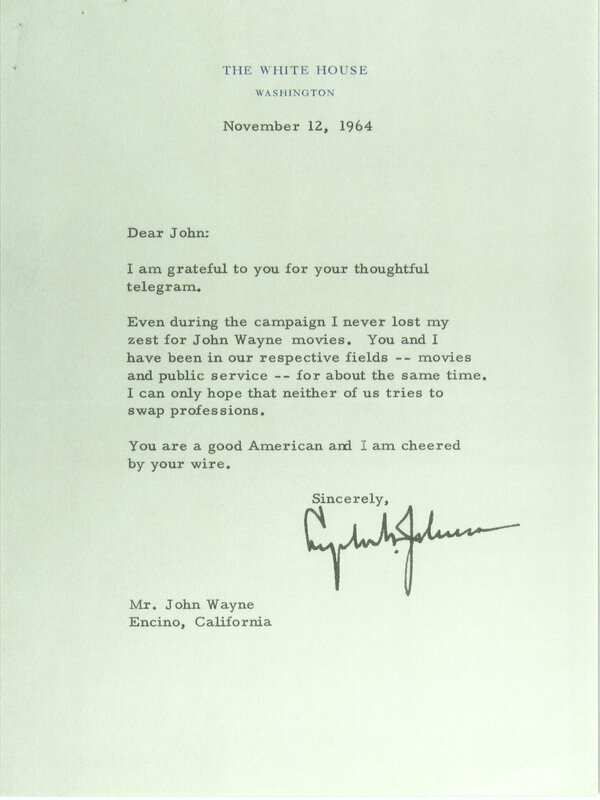 When John Wayne showed up to accept the gold medal award, given to "an outstanding American who has contributed significantly to the sport of college football and our country" by the National Football Foundation and College Hall of Fame on December 4, 1974, he was ostensibly there to discuss his gridiron adventures. As important as football was to his life experience, Duke was most interested in the "and our country" aspect of the award that night. At the awards dinner in 1974, Duke was largely in a reflective and conciliatory mood. 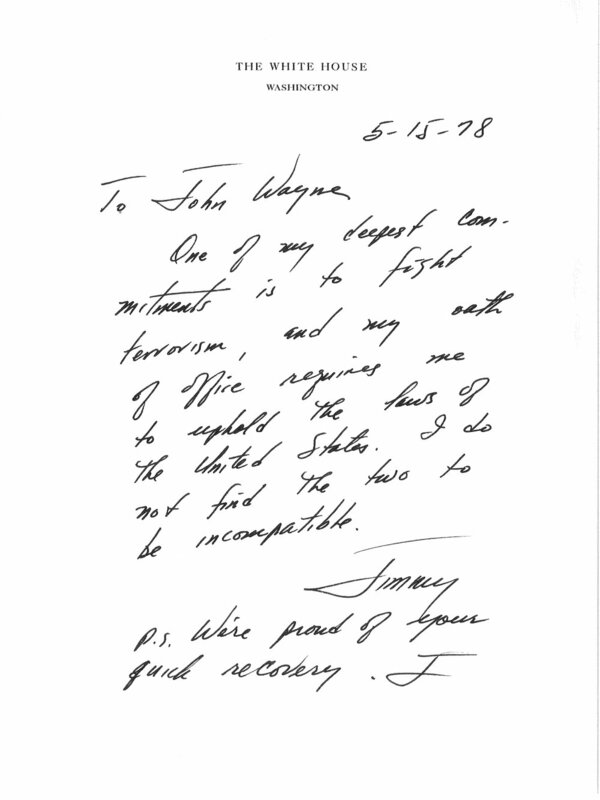 He pleaded for mutual respect between opposing sides that were engaged in a vicious national debate. Duke's plea for civility at the awards dinner was a hallmark of his belief system. Certainly, his National Football Foundation speech resonates today. It shows the dichotomy of his personality- consistently conservative philosophically but maintaining deep personal relationships across the political spectrum. 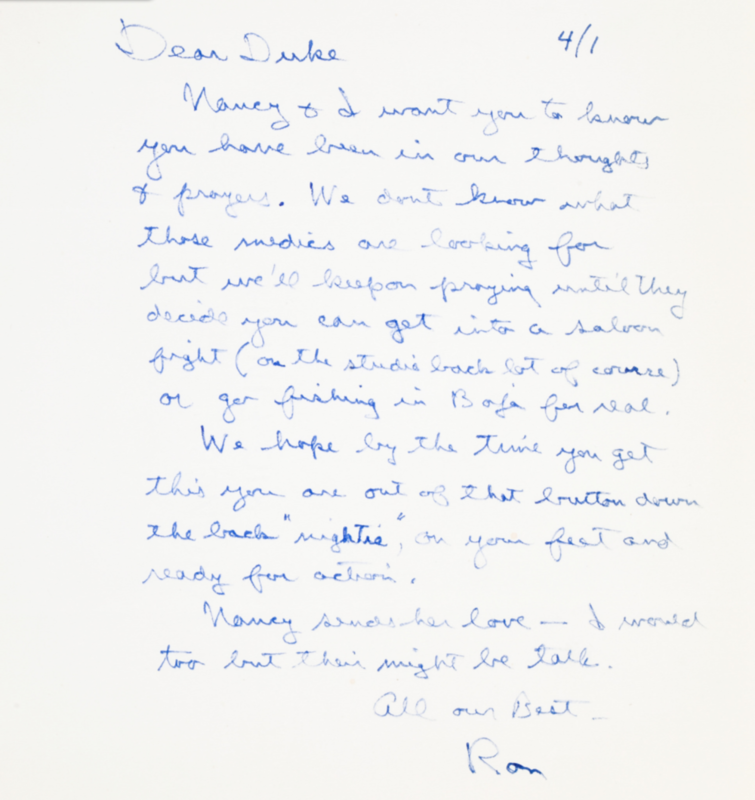 In honor of President's Day, take a look inside Duke's desk with a selection of presidential correspondence from the John Wayne Archive.